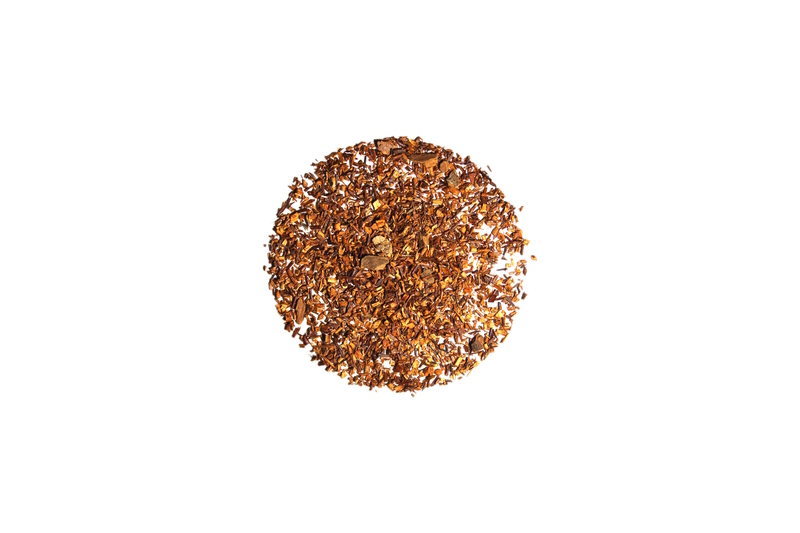 With a base of classic rooibos, this tea blends cinnamon chips and clove with elegance and ease. With this tea, you can enjoy a cup of rooibos with a dash of Red Hots. You can enjoy this tea straight or can add a little bit to your other favorite rooibos to give it some spice. Remember, this is the hot cinnamon not the nutty cinnamon. Tastes just like the name leads you to think it will! A nice cinnamon flavor along with the classic rooibos flavor. Nice on a cold day. This cinnamon tea is excellent for blending with other teas! Add just a touch of this tea and you will have lovely cinnamon notes! So good to have in the fall! Spicy in a great way! This tea is like liquid cinnamon. It's spicy and warm and delicious. Normally, I don't care much for Rooibos teas, but I'll make an exception for this one!